Foshan J.B. 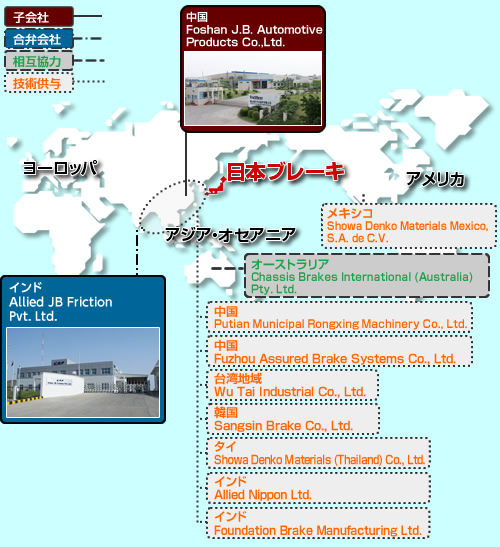 Automotive Products Co., Ltd.
Chassis Brakes International (Australia) Pty. Ltd.
Putian Municipal Rongxing Machinery Co., Ltd.
Fuzhou Assured Brake Systems Co., Ltd. Copyright © 2007 Japan Brake Industrial Co., Ltd. All Rights Reserved.